The first day of Fall has arrived, which means, the summer movie season is officially over. There were a large number of pop culture related movies released this season, and we’ve got the rundown of the highly anticipated movies, and how they fared. While summer officially started on June 21, 2011, we rolled back the clock to include the opening weekends considered to be part of the big summer movie season. 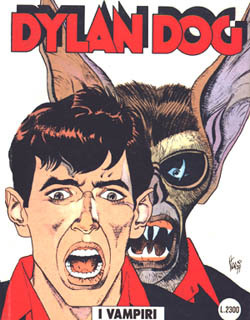 Sadly, we did include Dylan Dog, based on the Italian Sergio Bonelli Editore comic, later translated by Dark Horse, which only brought in $4.5 million for its entire 21 day run. The big winner, by far is the final installment of the Harry Potter series. Considering how popular this franchise has become, it wouldn’t surprise me that in the next 10 years we see the films getting remade for a whole new audience. What is most surprising is the first true comic book movie to appear on the list is The Smurfs, who were able to bring in $483 million to date, prompted mostly by the international market. Even when compared to the daily average, The Smurfs continue to do well, even outdoing Pirates of the Caribbean. Of course, there’s no way The Smurfs will outdo Pirates billion dollar plus box office take, but it is interesting to note that the little blue guys have been holding their own. There are five movies on the list, who as of this writing, haven’t made their production cost back. Save for Dylan Dog, which we can assume cost more than $5 million, the other movies are still in release world wide, so we can give them some leeway when talking about box office failures. Though one could argue that Conan: The Barbarian won’t be able to make up the loss only through box office sales. So there you have it, the winners, and the losers from the summer 2011 box office season. Where did your favorite movies fall, and what other data do you find most interesting in this list? Fast Five was a suprise for me, I didn’t expect to love it as much as I do. And looks like it was a huge success. Me, too. The best examples of films that did poor box office but are great are probably “It’s a Wonderful Life” and “Duck Soup”. Anymore, the more shiny explosions in a movie, the more it makes, because it appeals to people with very low standards & too much time/money. Earning a lot will never make “Avatar” or the Bayformers good movies, no matter how much people try to spin it that way. I think whoever made the Smurfs movie should be taken outside of the studio and fed to sewer rats alive. No Red State? That movie kicks serious arse! I am surprised that Cowboys and Aliens didn’t do better. I liked it. And at least it made it’s money back. You’re kind of stretching things though, claiming that April and May are part of the summer season. Summer runs from June to September. Just sayin. But, hey, you ain’t the only ones who can’t read a calendar. We’re only three weeks into September and the stores already have Christmas ornaments on display here!